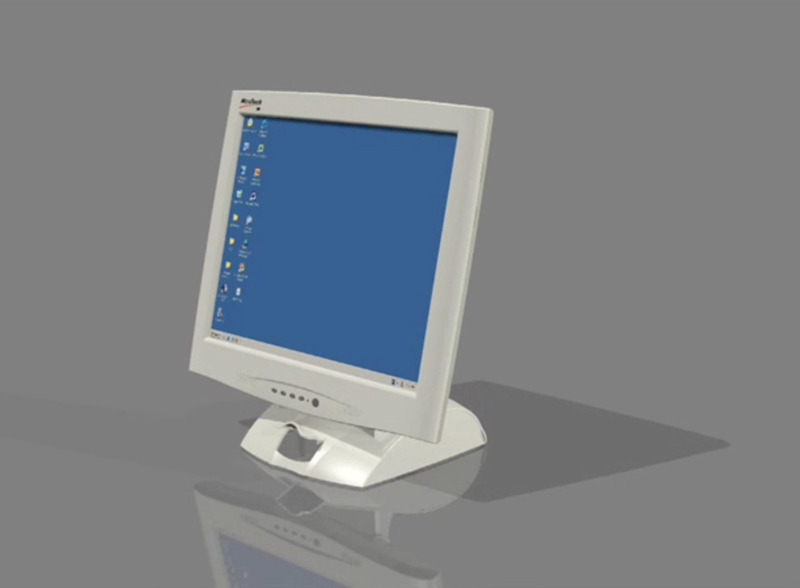 _3M’s M170 Touch Monitor design puts focus on touch stability, user convenience, and a distinctive brand building appearance. Applications include retail, kiosk, and healthcare. The key to touch stability in Machineart’s design is the chrome steel “unified strut” display support mechanism that triangulates the screen with the base to deliver exceptional rigidity while aesthetically enhancing the product. A display adjustment angle and locking mechanism, located at the front of the base for user convenience, is simple to use and ensures a fixed display angle. The display is adjustable from five degrees from vertical to parrallel with its mounting surfacel. This allows the display to be mounted to horizontal or vertical surfaces without modification, disassembly, or third-party hardware. Other features include cable management beneath the base cover that also encloses a neatly located power supply. The design of the touch stable tilt mechanism and the product’s appearance evolved together via rough then refined 3-dimensional concept mockups. The tilt mechanism was roughly prototyped in metal and plastic, then refined in CAD prior to making another set of parts to make a test model. Both the mechanism and housing parts were detailed and rapid prototypes were made for test assembly and presentation to the client. Final revisions were then made, the model painted and finished, and CAD documentation completed for submission to 3M’s selected manufacturer for tooling and production cost estimates. Machineart handled appearance design, mechanism and plastic housing part design, mock-up and prototype making, and final production documentation. The M170 project is an example of a full product development capability for companies that do not have the internal resources or need supplemental resources to meet their development needs.